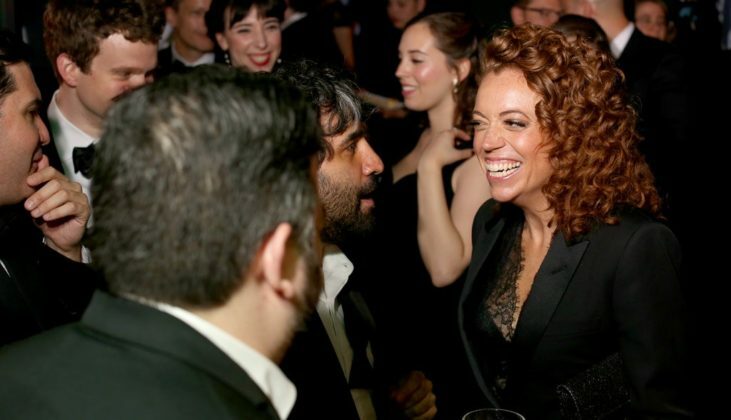 The journalistic and political classes are very eager to borrow the cultural authority of comedians when it suits them, sending out gala invitations and posing for photos in hopes that a bit of that edgy satirical shine will rub off on them. From Senator John McCain’s chummy on-air relationship with Jon Stewart to President Barack Obama’s hyperactive zeal to appear on every comedy product from Jimmy Fallon’s “Slow Jam the News” to “Between Two Ferns,” the message was clear: Comedy is cool. No one who hired Siegfried & Roy was shocked when they brought a tiger onstage. So you shouldn’t be shocked if you book a comedian and she points out that the emperor has no clothes. Or when she points below the emperor’s waistline and makes a rude joke. Some people noted that Ms. Wolf’s routine was poorly received in the Hilton ballroom itself. But watching her at home I recognized exactly what she was doing. Every performer who has done comedy on television knows that the people in the studio don’t really matter. They’re uncomfortable, they’re tense, and they have to be polite because they’re sitting six inches away from Chris Christie. You’re never getting a real laugh out of them. Instead, you focus on the audience that counts: the folks at home. And the folks at home don’t want comedy that’s polite and tasteful, and secures them access to an interview next Wednesday — they want comedy that stands on the rooftop and calls out hypocrisy and deceit at the top of its lungs.